You can never go wrong by wearing this fantastic bright blue wrap blouse in red floral print. Tuck it inside high-rise skinny jeans and complete this simple combination by adding high-heeled red pumps, oversized sunglasses, and red leather handbag. 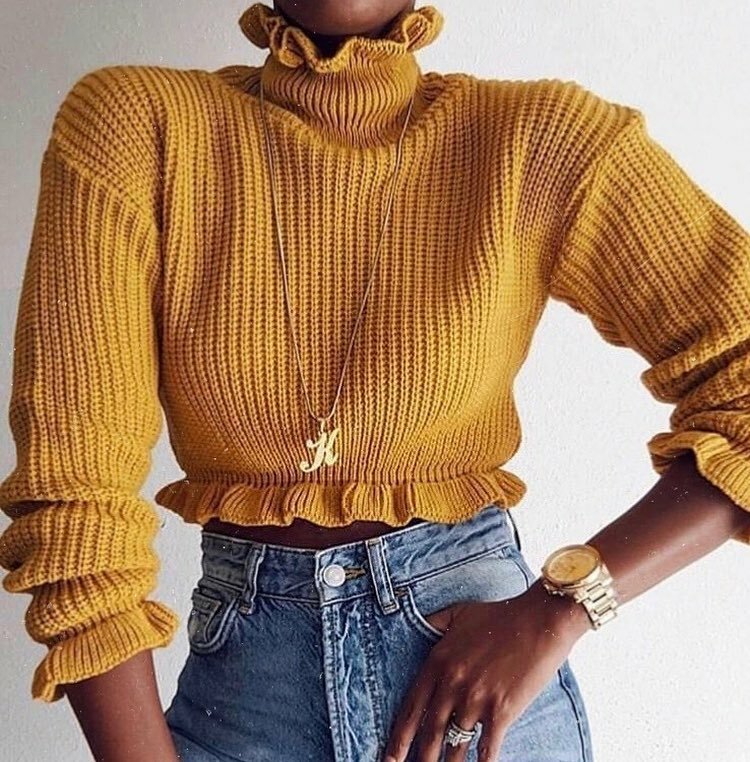 have fun this Spring season, as I am here to share with you an amazing mustard-yellow ruffled sweater. It comes with a ruffled neck, sleeve collars, and ruffled hem. Try it on with high-rise skinnies in wash blue color.